With today’s update to Wase this shortcut allows you to use your favourite navigation with a shortcut. 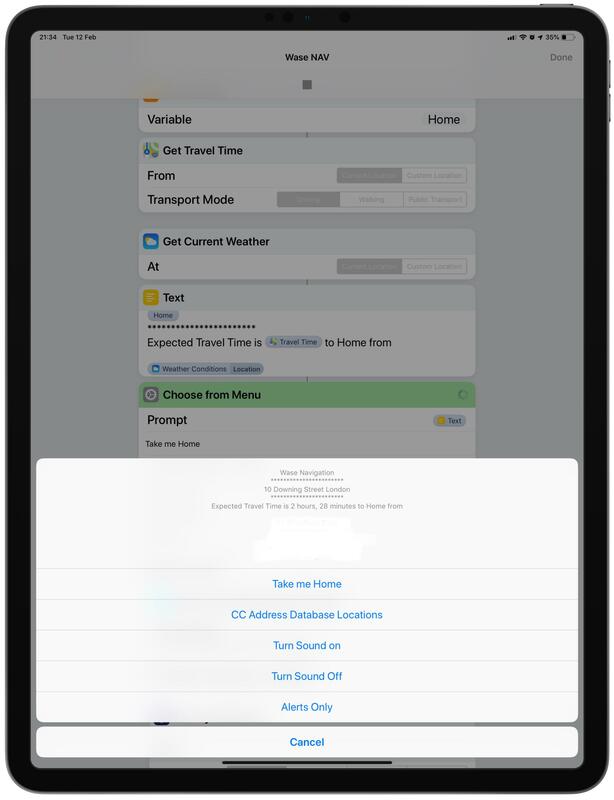 Added in the use of Control Centre Address Database so you can store all you favourite locations for use in was. This is easy to use and set up, and has some location already inside to give you an idea how to use it. 8.1 - March 26, 2019, 10:28 p.m.